Sidoman Investment Limited is a logistics company based in Mombasa Kenya that deals with transportation of cargo, import and export, customs brokerage, shipping, warehousing and charter brokerage. 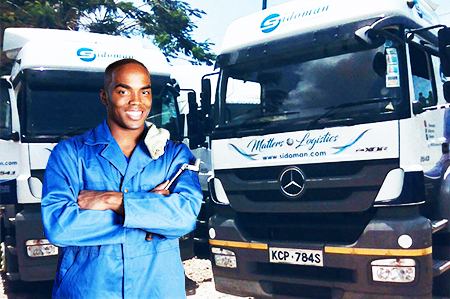 Sidoman Investment Limited is a transportation and logistics company situated in Mombasa and operating throughout East Africa. We are looking to Hire a Truck Mechanic to join our young and vibrant team. If you are skilled with your hands and passionate about truck service and repair, you will be an excellent fit for this position. This is an exceptional position for someone with a positive attitude, excellent technical skills and the desire to succeed. • Available to carry out emergency support response to drivers over long distances and sometimes at odd hours.